Join NBC 5 and BAPS at the Diwali Celebration on Saturday, November 10, at the BAPS Shri Swaminarayan Mandir from 11:30 a.m.to 8:00 p.m. in Irving. Diwali is one of the most important festivals of the Hindu calendar. It is commonly referred to as the Festival of Lights, which symbolizes enlightenment and good over evil. The five days of Diwali are rich in cultural traditions and rituals that symbolize new beginnings and a renewed commitment to families. 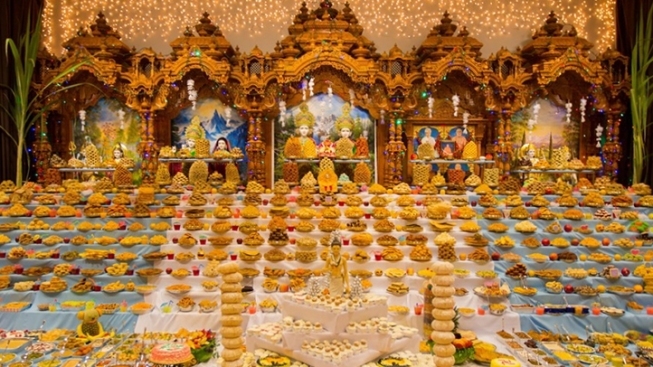 Every year, the BAPS Shri Swaminarayan Mandir in Dallas commemorates the festival of Diwali with an array of celebrations catered for children and families. This year, the Mandir will host a Diwali Celebration, which will include food, games, age-based educational activities and a fireworks display. The fifth day of the festival, which marks the New Year, will be celebrated by the traditional offering of Annakut to sacred images of Bhagwan, or God. This offering is a unique sight of devotion wherein devotees prepare vegetarian delicacies as well as western dishes as a symbol of their gratitude and love for Bhagwan.